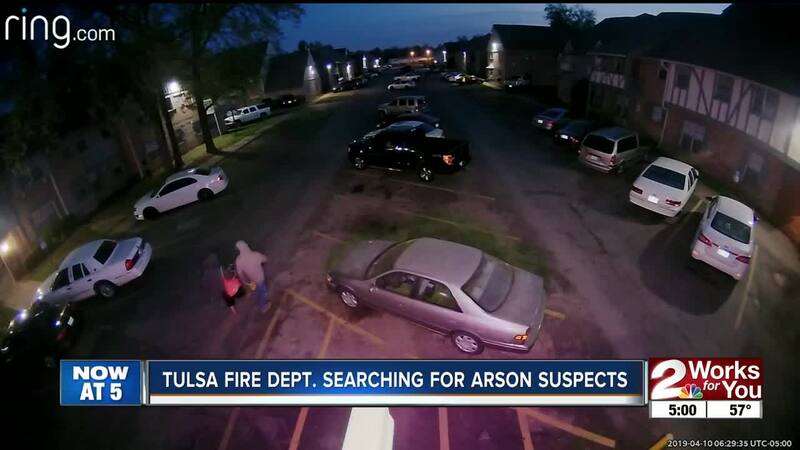 TULSA — The Tulsa Fire Department is searching for two suspects accused of starting a fire at an apartment complex. Authorities released surveillance video of the arson suspects. Investigators believe the suspects started the blaze in the doorway at the London Square Apartments near 51st and Lewis on Wednesday. If you recognize the suspects, you are asked to call police.